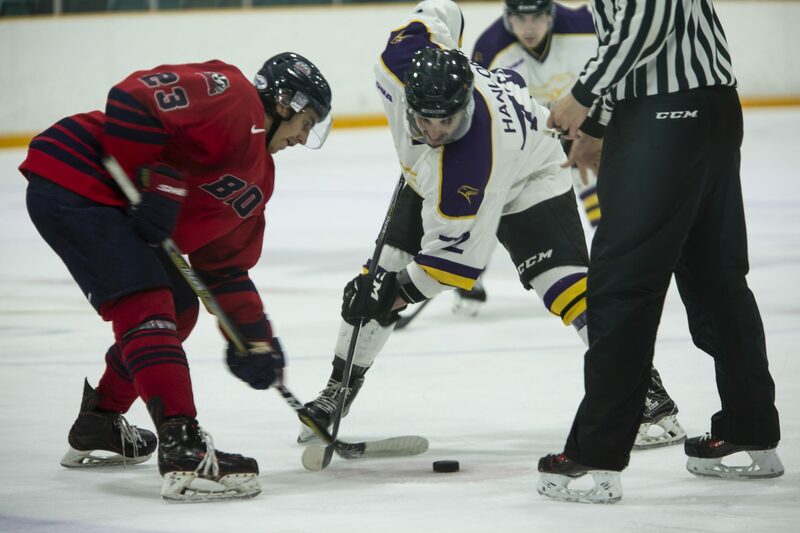 The Wilfrid Laurier men’s hockey team has started off their 2018-19 season on the wrong foot. After finishing fourth in the OUA West conference last year, the Golden Hawks see themselves sitting in last place through the first two weekends of regular season play. Like many teams in the province, Laurier has seen a large roster turnover from the 2017-18 season, with many senior players graduating and moving on from the team. In total, 14 new recruits have been added to the 29-man roster, with one of the most exciting recruits being Kitchener native Alex Black. The defence-man brings over 250 games of OHL experience to a Golden Hawks’ back-end that now boasts four players with OHL games on their resumes. That veteran presence on the offensive end was shown in game one of the weekend, during a tough 3-2 defeat at the hands of the Waterloo Warriors. The Hawks came out flying early in the game, controlling play for the majority of the first period, before being rewarded with two late goals from third and fourth year players, Lucas Batt and Anthony Conti. In what would turn out to be a penalty filled second period, the Warriors were able to score three unanswered goals, and thanks to a stunning late game defensive performance, those second period tallies were all that Waterloo needed to close out the win. “For us, obviously we want to [win], but more importantly it is how we play and making sure that we are not being outworked and that we’re competing,” Puhalski said. The coach’s message definitely got through to the players in game two of the weekend versus Brock, as Laurier dominated play for the vast majority of the contest, holding a 2-0 lead with less than ten minutes to play. However, a late surge from the Badgers, including two goals in the final 90 seconds of play, sunk Laurier with another 3-2 defeat. With 25 games still left in the regular season, the Hawks have plenty of time to turn things around. The team will be looking for their first victory of the season when they go on the road to play Ottawa and Carleton next weekend.